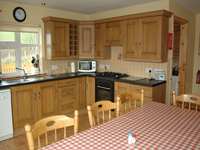 Holiday Cottages in Republic of Ireland. 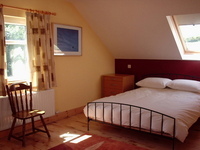 View details for Sandstone Cottage in Dingle, Co Kerry. Provided by Holidaycottages.cc. The cottage has been finished to the highest standard and comprises 5 bedrooms (3 double en suite, 2 twin), main bathroom with bath and shower; large oak kitchen/dining room that can seat 10 comfortably, complete with electric oven, gas hob and microwave; living room with coal-effect gas fire, TV, DVD, music centre, family games, books and videos; utility room with washing machine and tumble drier. Solid wooden floors throughout. Large garden with picnic bench. Ample parking. Baby seat, playpen and cot available.